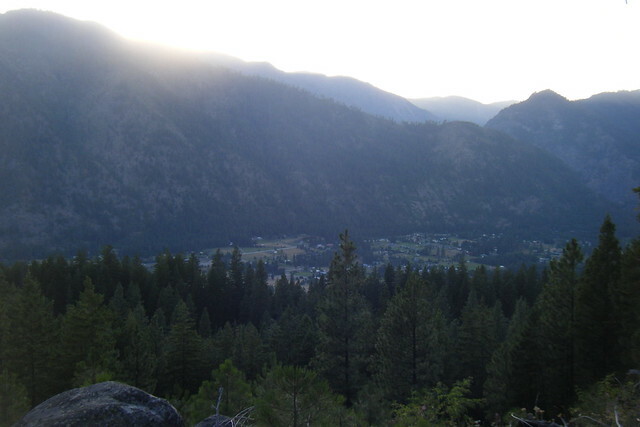 Locals in Leavenworth only have to look up to know the value of Land Trust’s Mountain Home property. The property’s forested hillsides, dramatic post-fire ecology, and open ridgelines provide amazing views from the valley, instead of the eight houses that were planned. But Mountain Home also provides important habitat for an impressive variety of animal and plant species, including a reintroduction site for the endangered Wenatchee Mountain checker-mallow. Elk and mule deer use the property as a migration corridor, and a healthy wetland provides shelter and food for migrating song birds. The dramatic views of the Icicle River Valley from atop Mountain Home Ridge show the amazing geology and ecology of our region and remind us why this is such an important place to protect. In October of 2018, the land trust thinned 30 acres of forest to improve its health and resilience to drought, bark beetle attack, and the inevitable wildfire. This project is part of the Land Trust’s efforts to improve forest health and sustainability. Read more about our effort to manage for forest health here in the Fall 2018 edition of our newsletter. For a list of common plants at Mountain Home, click here.